When a new generation of gaming hardware looms, it can be instructive to look to the past. At the end of July, we published a review of a new book by Zoya Street titled Dreamcast Worlds. Mr. Street has allowed us to publish an excerpt from the book, in which he details Sega's approach to the new console generation that loomed in the late 1990s. In 2007, Stolar recalled that a considerable factor in his split from Sega and the failure of the Dreamcast as a console was a lack of commitment to hardware. He agreed with Sega’s policy that software should drive hardware, but without commitment to marketing the hardware Sega’s position as a first-party developer was doomed to failure. I would argue that it was also about Sega’s inability to deal skilfully with external connections, such as infrastructure, branding and partnerships with other companies. You can’t talk about consoles without mentioning the notion of ‘generations,’ and in 1999 there was a strong awareness in all areas of the games industry that a new console generation was on the way. As different hardware companies attempted to release consoles that could compete technologically, several consoles were usually released within a couple of years of each other with comparable hardware specifications. To refer to these waves of console releases as ‘generations’ is somewhat deterministic, as it implies that evolution and renewal are natural, constant processes necessary for survival. It is a determinism that benefits sales by condemning older consoles to irrelevance. It is a discourse that supports and reflects the strategy of planned obsolescence. It also excludes hand-held consoles and gaming on personal computers. I think that the frame of reference in the term ‘generation’ is too narrow to be of any use to a historian, and determinisms like this should always be opened to questioning. Tom Szirtes, who developed libraries and tools for Dreamcast development, also spoke about the Dreamcast as an external thing that he was developing for. As mentioned above, Sega as an international company was divided over the design of the Dreamcast. In addition, the naming, branding and publicity of the Dreamcast were dealt with by at least one and possibly more third-party PR firms, so to say that the console came from Sega masks levels of complexity that are really quite interesting. Instead of just accepting that Sega had to spew progeny into a pre-scheduled ‘console generation,’ consider this: the imperative to create a new console came from somewhere in the network, perhaps outside of Sega, and then proliferated out through corporate channels to reach in-house and third-party developers, and along the way the idea of ‘Dreamcast’ took on meaning from all the people and technologies involved in its creation. Imagine Katamari Damacy, but instead of being rolled along by a heroic auteur, the Dreamcast began at the top of a hill somewhere, was given a push by someone in the right place at the right time, and it rolled downhill from there. While leaving open to question the idea of ‘generations’, I want to point out that the idea held strong sway among game developers and fans, both of whom held great stock in being up-to-date on the state of the art, and the agency of generations has strong sway in the construction of consoles. The idea that a console generation was due soon was one of the forces that was making that katamari roll down the hill. The Dreamcast is considered the first console of its generation to be released, because of its networking capabilities and graphics processor. Japanese game developers in training reading Konpyuuta Geemu no Tekunorojii (Computer Game Technologies), one of the few textbooks on the topic available in 1999, would have found three pages devoted to an explanation of the Playstation’s hardware, half a page for the Nintendo 64, a few lines each given to the Dreamcast and PCs and a further two pages given to the as-yet unreleased Playstation 2. The Playstation 2 was treated as the next-generation console par excellence long before its release date, and the Dreamcast was given relatively little attention. One factor contributing to the perception of the Dreamcast as a relatively insignificant technological offering was its appearance. Its form was very similar to the 1994 Playstation, with a square, greyish body and a disc drive accessed under a sprung, circular door opened by a release catch. Sony left this form far behind with their Playstation 2, a sleek, tall, black structure with a disc drawer that slid out with electronic motors activated with a digital switch. This simple shift in the operation of the disc drawer demonstrated technological advancement, and allowed the Playstation 2 to be conveniently stacked among other entertainment appliances under the television. The choice of colour for the Dreamcast was also behind the trend, as consumer electronics followed the lead set by the Sony Vaio in 1998 by phasing out beige and grey and releasing instead in black. The packaging for Dreamcast accessories was perhaps more appealing, in simple white - also a trending colour - with details in orange or teal, depending on whether they were intended for PAL or NTSC devices. However, the packaging was uncommunicative of the device’s function. Although the discourse of console generations implies that the most important competitive feature of consoles is their standing as state of the art technologies, the relative success of the Playstation 2 compared to the Dreamcast might complicate this. The Playstation 2 lacked a built-in modem, although one could be bought separately to allow networked gaming, while the Dreamcast’s internet connectivity was seen as a major selling point, particularly at this time during the dot com boom when all brands were being told by investors to get online or risk irrelevance. Even though the powerful Sony brand was closely associated with the state of the art, this example shows that in fact Sony and Sega both made strategic decisions on where to invest in advanced hardware and where to economise to limit the price point of their products. In addition, Sega was a much smaller company than Sony, who possessed massive financial welt, and was better able to survive the damage caused by the economic slump in the electronics sector and the high price of the Yen. Rather than hurry to compete early on internet interface devices, Sony invested in building the infrastructure needed to enable high-speed internet access in the future. When Sony restructured in March 1999, they established a unit for Digital Network Solutions, declaring an intention to ‘invest aggressively in research and development, capital equipment and facilities.’ Meanwhile, Sega focused on demonstrating the utility of its net-enabled console through alternative distribution channels. 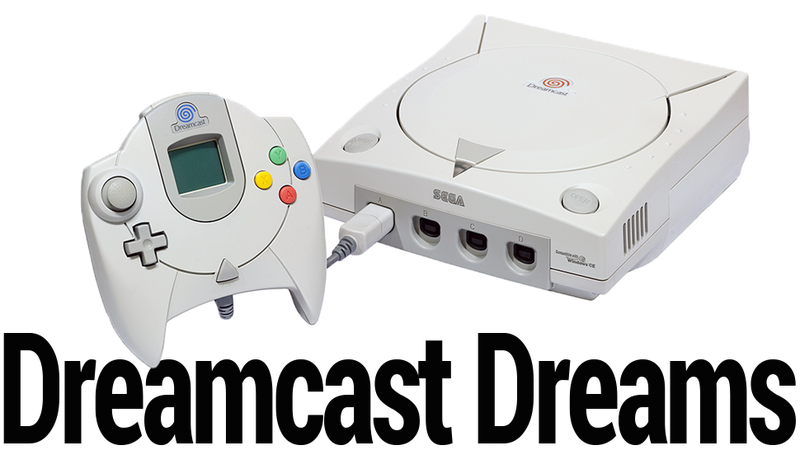 By enrolling students in lessons on how to navigate the internet, and giving 3,000 Dreamcasts away for free to schools, Sega hoped to demonstrate that the Dreamcast was not just a games console, but an access point for the growing online information network, with which Japanese children would have to be familiar if they were to keep up with the USA and Europe. They also developed links with Internet Service Providers (ISPs); Vice President Sadahiko Hirose was moved in 1999 from Sega to ‘At Home Japan,’ an ISP also owned by CSK. They also forged business links with BT and AT&T, to arrange subscription plans for the Dreamcast’s release in the USA and Europe. At this point, internet connections were still slow. In Japan, internet access was still charged as a local call, for which users had to pay by the minute.33 Although brands were under pressure to have a web presence, the monetisation of the internet was still embryonic, with banner advertising and e-commerce still much-hyped ideas that were yet to be successfully implemented. When one online merchant made ten sales a month, this made front-page news in the Nikkei Weekly. ISPs were a profitable industry, but by 1999 not enough Dreamcast owners were making use of internet connectivity for Sega to profit as an ISP. This gave Sega few options for capitalising on the Dreamcast as an access point for the internet, so they were left competing with Sony on a technological level and on player engagement. Technologically, the Dreamcast was in some ways more advanced than the Playstation, but the very areas where Sega had economised, such as using off-the-shelf components, were the areas that Sony was able to brag about for its Playstation 2, which used highly advanced processing chips developed exclusively with Toshiba. This cross-industry cooperation in technological innovation played well with Sony’s brand image, making the forthcoming PS2 a towering presence long before its release. Zoya Street is a freelance historian and journalist from Britain, living in the Bay Area. He runs an e-zine about games history called Memory Insufficient. His new book Dreamcast Worlds is now available in physical and digital editions. Find him on Twitter at @rupazero.